Almost two months ago, the leader of the Venezuelan opposition, Juan Guaido, declared himself the interim president of Venezuela. January 23, 2019 was to be a turning point in the history of the Bolivarian Republic, marked by a change of power in the country. However, this did not happen - the legitimate head of state Nicolas Maduro did not want to give it to an impostor and a protege of Washington. The army remained loyal to its commander-in-chief, with the exception of a few military mediators. And finally, on March 21, Juan Guaido made a rather bold statement: “the usurpation of power” has come to an end. According to him, the opposition is preparing for Operation Freedom. These words were heard at a press conference in Caracas. In particular, they were quoted by journalist Gabriel Bastidas. Guaido is confident that the Maduro regime is left to rule in just a few days, and the upcoming events will clearly demonstrate this. “Venezuelans, wait for us in every state,” said the opposition leader. He also explained why he himself has not yet been arrested. According to Guaido, the thing is that the current authorities are afraid to detain him, so they are attacking his relatives, supporters, and close people. Earlier it became known about the operation, which in the early morning of March 21 conducted SEBIN - the Bolivarian National Intelligence Service of Venezuela. These efforts detained two closest associates of Guaido: Roberto Marrero and Sergio Vergara. As a result of searches in the house, two rifles and a grenade were found at the first of them. This was enough to keep him in custody, while Vergara was soon released. Of course, this fact could not remain without a comment from the United States. Secretary of State Michael Pompeo condemned the actions of the Venezuelan security officials. The Venezuelan authorities did not remain silent for a long time, informing the public about the investigation into the detained associate of the impostor president. The head of the Ministry of Internal Affairs of the Bolivarian Republic Nestor Reverol, speaking on national television, said that the 49-year-old lawyer Roberto Marrero is responsible for creating criminal gangs. A “batch of weapons” and an unnamed amount in foreign currency were found in his house. According to Reverol, in this way, the authorities struck a strong blow at one of the terrorist cells, which had plans to assassinate the country's political leaders, supreme judges and other dignitaries. The head of the Interior Ministry stressed that such actions were supposed to be carried out with the help of mercenaries from Colombia and the countries of Central America. Their goal was to create chaos in Venezuelan society. Closer to Thursday evening, Nicolas Maduro himself spoke. The legitimate president of Venezuela announced the exposure of another conspiracy against the whole country, which was prepared under the leadership of the American empire. "The terrorist group had several targets for attack, these are barracks, hospitals, subway stations." Maduro also promised to continue to suppress the activities of terrorist groups. It is difficult to say whether Juan Guaido provoked Marrero's detention on such loud statements with promises to throw Maduro in the coming days. It is clear that the plans of the United States and their tame president-impostor always meant to get rid of the hated “usurper” as soon as possible, but in two months the progress in this direction seemed rather weak. The relatively quiet life of Venezuelans was complicated by a long blackout - the power outages affected almost everyone, but even with this in mind, it seems that the Venezuelan authorities continue to control the situation. It is not surprising that, against the background of the loud attacks of the opposition leader, Assistant US President for National Security John Bolton once again threatened Maduro and those who help him with new sanctions that would lead to "financial strangulation." According to him, Donald Trump made it clear that the most serious measures against those who support the "dictator regime" are still ahead. Bolton also criticized the detention of Roberto Marrero, calling it illegal. What does the rhetoric of the Venezuelan opposition leader mean? Is it an imitation of vigorous activity, that is, quite simply, a bluff, the purpose of which is to influence the citizens of a country, or is the announcement of a really preparing operation? 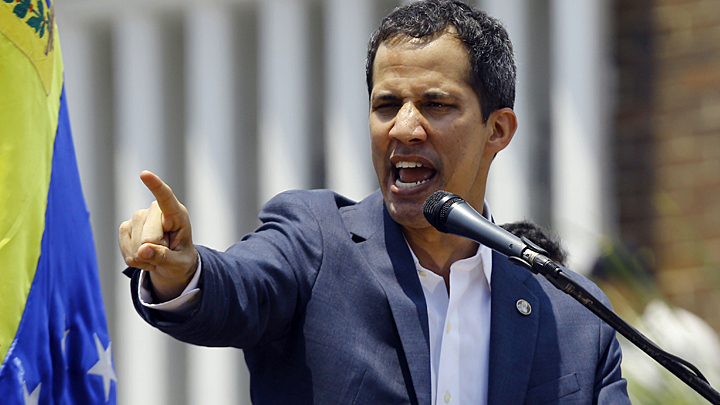 Speaking over the weekend to supporters, Guaido openly stated: "We must organize and create detachments of fighters for freedom, against the usurpation of power." In the meantime, reports from rallies in support of the oppositionist show that fewer people come to each subsequent one, who no longer see sense in what is happening. It is obvious that the balance of power among the supporters of Maduro and Guaido was not at all the same as it was initially seen in Washington. The United States did not take into account the national identity and the fact that many have a clear understanding - the American authorities have put their hands on the many problems of Venezuela. So, if Operation Freedom promised by Guaido will succeed in the coming days, as it was stated, it will be more likely a surprise than a legitimate event.